On our drives, it has become a game to be the first to spot a shrine and yell out “Grotto!” They are everywhere. While some are standards of Christian iconography (Calvary groupings, crosses) and others venerate local saints, the vast majority are Marian and based on the apparition of the Virgin Mary to Bernadette of Lourdes. In 1954, at the height of Catholic fervour in Ireland, the Vatican declared a Marian Year – a year of special devotion to Mary. 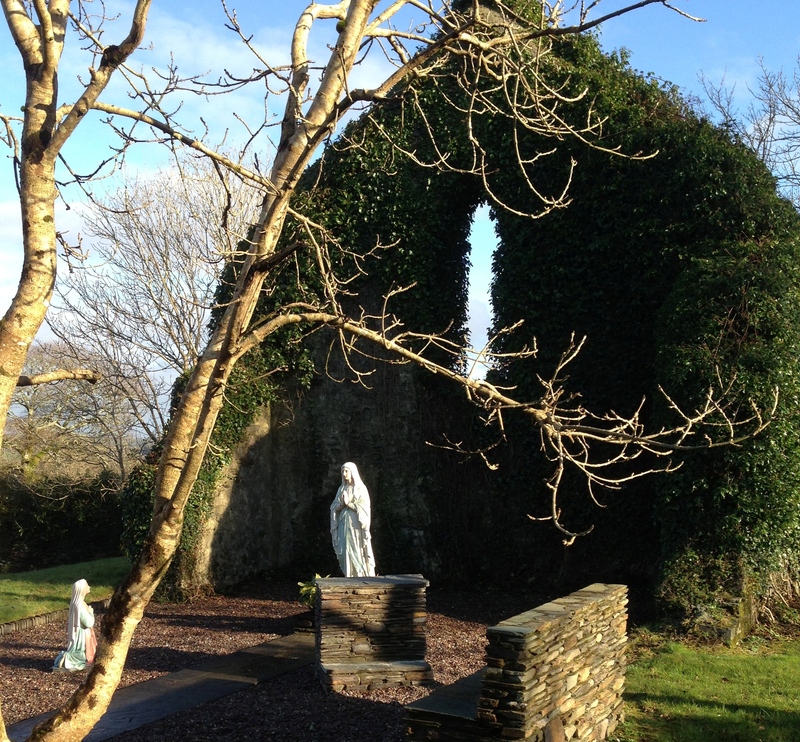 Ireland embraced this with great enthusiasm and suddenly the countryside was decorated with statues (like the Pieta on the Sheep’s Head), hills were topped with crosses, and every community sported a Lourdes grotto. 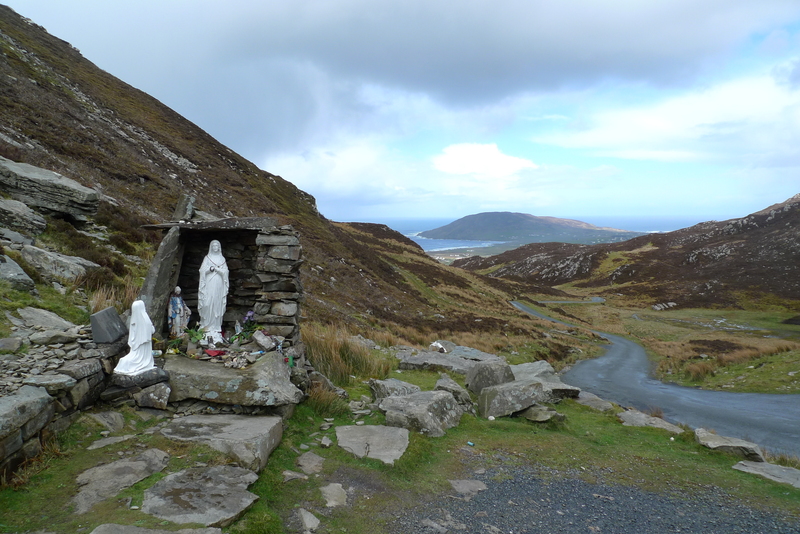 Ireland at that time was poverty-stricken so it is particularly striking that when the Irish had nothing – there were few cars, no modern conveniences, little spare money – parishes managed to put together enough to erect devotional shrines. The best ones, of course, are the rustic shrines you stumble across on a drive or a walk. Sometimes an ancient holy well will have been ‘Marianised’ by the addition of a small carving or rosary beads, or a summit or mountain gap will have a simple rocky structure to house a statue. 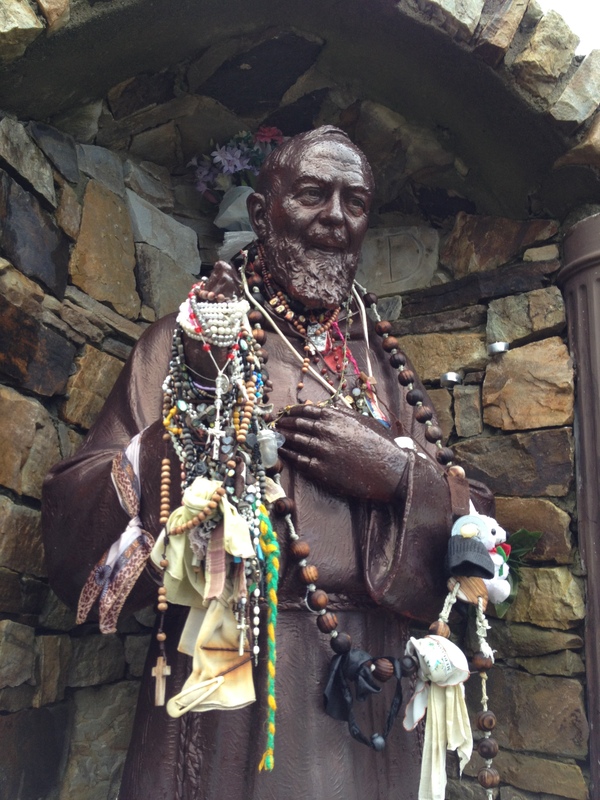 Pilgrims or passers-by leave small tokens either as a mark of respect or to support a special intention. There is an elaborate grotto near here in Ballinspittle. In the mid 1980s the country was galvanized by reports that the statue of Mary had been seen to move. Pilgrims flocked to the site, overwhelming the small town of Ballinspittle for a while. The 80’s were very different from the 50’s: many of the older generation believed, and still do, while others had lost that simple devotion that characterised earlier times and the apparition was greeted by many with a scepticism that would have been unknown in the 50’s. The tradition of choosing a young girl to be May Queen to preside over spring festivals is common to many cultures and probably pre-dates Christianity. In Ireland, as we often see, this tradition has become Christianised. 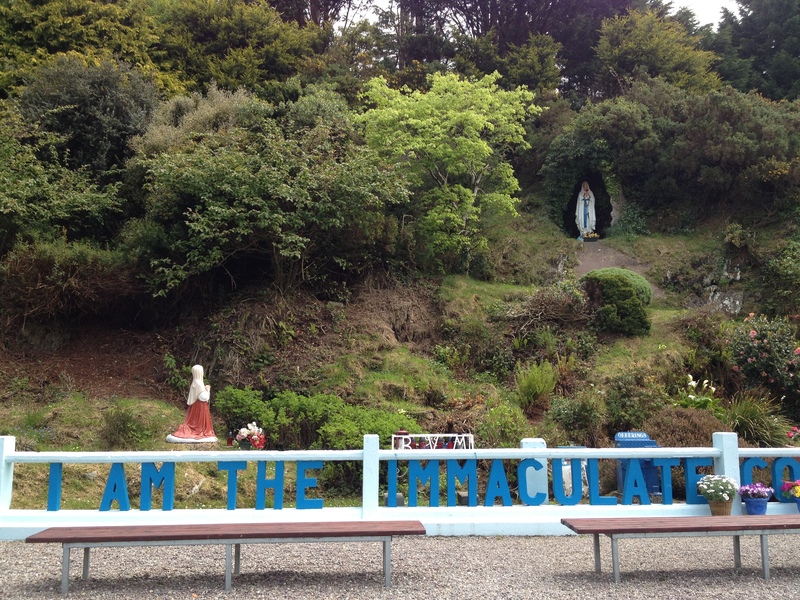 The ubiquity of Marian images here is yet another aspect of the rich fabric of Irish culture.